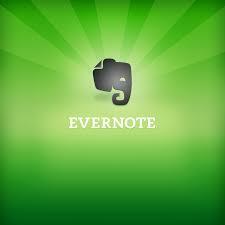 If you don’t know what Evernote is, the core idea is a cloud-based note-taking system. Think like sticky notes, but digital and they can be accessed from almost any device that has an internet connection. Back when paper was a more valued resource, what would you use sticky notes for? Maybe a quick shopping list you jot down after lunch. It doesn’t matter because that is the point of a sticky note. A quick bit of information. With a physical piece of paper, especially something intended for a short lifespan, it will inevitably get thrown out. Since Evernote lives in the cloud the notes never have to go away. Just imagine keeping every sticky note you’ve ever used. I agree. And neither does your brain. We forget things as humans. Think of your brain’s sticky notes for everything it needs to do. A sticky note for walking. One for breathing. Even something as mundane as how to grow the toenails. Obviously, certain things are more complex than others. The sticky note for playing a drum solo would have much more information than the sticky note to write your name. Before you think this is going nowhere, remember this post is to show you how to implement Evernote as a cloud-based expansion to your brain’s memory storage. Since Evernote is digital, you CAN have notes that are more complex than others. The “which bills have been paid” note is more involved than the one with a code snippet to make radio buttons horizontal. I’m not a brain doctor, but I did study artificial neural networks in graduate school. It is what it sounds like; mathematical models to mimic how the connections in living brains work. When it comes to these models learning things there is a saying, “That which fires together, wires together”. If a baby wants to pick up a cup, its brain has to get the right sequence of muscle movements to succeed. The more he or she does this, the stronger and more defined those muscle movements are. Think about it. When you want to remember stuff from when you were a child, your brain “knows” where to reference this in your head. The location of these memories is probably different than the location of how to change a car tire. Unless you learned this as a kid, then maybe it is closer to where kid memories are stored. In order to use Evernote as an extension of your own brain, you must tag each note with at least 2 tags. Why? Because when you need a piece of information, you can come to the same knowledge from different angles. Take my code snippet note from earlier. I’ve got this tagged as “code”, “css”, “form”, and “radio button”. I KNOW that I know how to make radio buttons horizontal and I trust that when there is a need to pull that information I’ll make my way to it through one of those tags. Brain hacking for the win. I need to pause for a moment to very explicitly point out that in order to use Evernote in this manner, you must TRUST the system of tags you setup and will continue to setup. If you follow Chris Brogan’s newsletter, he recently gave a 5-step formula for how to make simple processes effective. The last step is basically “Trust the Process”. To use Evernote as an organic cheat code for your brain, you have to allow yourself to trust yourself. Look at those four tags again: “code”, “css”, “form”, and “radio button”. You think I’ll get the info I need through one of those tags when I want to remember how to tweak radio buttons? If you already have an Evernote, start at step 3 with your current notes. Be forward thinking about the tags you use. Is this type of information something you’ll reference often? Like my bill tracking note (which is tagged as “Bills”). Does it fall into a grouping of knowledge? For example, I have an “analytics” tag for the different solutions I’ve found that do digital analytics. Be mindful of tag proliferation, or lots and lots of tags. Don’t get me wrong, the more you use this, the more tags you’ll build. Watch out for redundancies unless you want to build those in intentionally because you know yourself. For example, having an “Audio” and a “Sound” tag may be redundant for some people, and be two totally different meanings for others. The trick with trusting a system like this is step 4; going back to retrieve information often. When you first get started, you’ll want to be really aware as you write or type something that you may want to reference later. Quickly, throw it in a note. Get good at identifying those things. Soon you’ll have a little interrupt in your head that pauses and says, “I should put this in an Evernote”. Then actually do it. For example, I have a note listing all the stuff I need to buy for my house. Toilet paper, cleaning supplies, stuff like that. Before this I’d find myself remembering that I need to buy something and then forget to buy it at the store. Now, when I’m at the store, I don’t have to fumble with that information. Pull out the smart device and look at my notebook because when I think of something to buy I’ll just throw it on that note and forget about it. After shopping, I’ll delete the items purchased. As I’m sure you can attest, people forget things. Processes with multiple or precise steps can be challenging to remember yourself, must less delegate to someone else. To fix this, create a note for these processes. Tag it accordingly. Did I mention that you can have different notebooks and share those with others? Well you can. Share those notebooks with people who need that information. Maybe tag these with “Processes” or “Workflows” along with some more intention specific ones. Write drafts and make edits in a note until you are ready to put it in the final form (Word doc, InDesign, etc). Don’t worry too much about formatting the note inside Evernote because that will probably go away when you migrate the information. Maybe tag as “Posts” or “Infographics” or whatever makes sense to you along with a topic tag. Have templated emails you use a lot? Put each one in a note. You could tag these as “Swipe” or “Email Templates” along with tags for the intended audience. You could even use Evernote as a basic customer database if you really wanted. Can this work for everything in your business? Nope. There will always be things you can’t house in Evernote. However, the fewer systems you can use the better. Less multi-system chaos. Work towards making Evernote your business’ central system for knowledge and only introducing other systems if absolutely necessary. What about creating a publicly viewable notebook and have people curate that? Super lean and effective! You might even be able to replace certain services. For example, maybe you have a bookmarking service that you use just to store URLs and nothing else; you don’t use any other bells or whistles the service offers. Migrate those bookmarks into one or more notes. This way you are cutting the fat from your ecosystem of tools while retaining all knowledge. Lastly, you’ll want to do an Evernote cleanse every once in a while because just like a post-it note (and just like our own memories) they will need to be discarded someday. You can schedule this or just perform as needed but you should be doing this periodically. By re-routing information from your brain to Evernote and tagging those notes in a manner you trust, you can build a cloud-based expansion to your head’s own memory storage. Thanks for the tips. I’ve been meaning to get started with Evernote for a while now, maybe your simple shopping list example is just the way to start. Paul! So awesome to see you featuring at Firepole, and your insight shows well. An earlier version of this wisdom is “Write It Down”, which became institutionalized in “Take notes.” in school. Either way, the fire-together/wire-together principle remains, and I love that you’re bringing an updated look to a digital world. apply to them. Since I’m always discovering quotes that I put in my person email, writing and use in designing some products, Evernote is a quick place to put them and group them by source, subject, or originator. I have used them very effectively for use with coaching clients. I like your idea of sharing them- I may use that as a way to give out ‘homework’ with a client in the future. I haven’t yet used it from my phone but I will get there too. Love to hear it Mary! Personally, I use checkboxes to track which bills have been paid for the month. Great suggestions for Evernote! My issue in the beginning was not giving enough forethought to my tags. I’d go looking for something I knew I’d put in there, but couldn’t find it. Very aggravating! I am using Evernote a great deal for writing. Right now, however, all the information for our big move from New England to TN is living in those notes. I’ve listed movers and their information and possibilities for places to live until we find a house. We are in the midst of packing and we have numbered every box and detailed the contents. In Evernote, that information will be easily accessible and priceless when we begin to unpack. I have to admit I have read so many articles about Evernote and its power to help keep track of ideas that I really should be using it. It really seems to be helping a lot of people. I even downloaded it to all of my workstations. The truth is, I just haven’t been able to getting it going for me. My main way to keep track of ideas is to use an app called Email Me. With Email Me, I click on it on my phone and it pulls up a templated email that is already addressed. I just type in the idea and send it to my inbox to deal with later. With your suggestions in the post, I think I can combine the two. Email Me can send directly to Evernote and then I can deal with it there. I will give it another go. Thanks for the post! Don’t feel bad Mike. My friend Will was hammering me for probably two years to start using Evernote before I gave it a fair attempt. A common mistake I see people make is using their inbox as a task management system. You wouldn’t use your physical mailbox like that, would you? I had been using Evernote for past 2 years. I keep every note in it. I used Evernote plugin, script for Chrome, Safari to tag all info into it. It gave you timestamp and URL, make it easy to track everything. Got some ideas? Or received interested email? Just forward to Evernote private email account. It will show ups in your Evernote instantly. And alternative will be OneNote from Microsoft. But I hardly use it. You sound like an Evernote jedi Horace! The AWESOMENESS doesn’t end there. You can seamlessly blend paper and digital notes on Evernote by using a Moleskine notebook that comes with with Evernote Smart Stickers. The sticker images are also digital on Evernote and can be associated with your tags. Write in your notebook, apply the sticker(s) to tag the note, capture them with the Evernote Page Camera app (ios/Android), fire up the Evernote , and upload to your Evernote account. Your handwritten notes are now digitized and integrated with your digital ones. More details at: evernote (dot) com (slash) gettingstarted (slash) moleskine. I use Evernote all the time – it’s one tool I’ve really come to rely on. I’m just using the free version at the moment but I’d pay for it if I had to. It’s only in the last few months I’ve started regularly tagging posts, though, and I think your idea of using at least two tags for each note is a good one – I can see how that will make stuff much easier to find. I’ve never really understood how to use Evernote. But this post offers some great ideas to get it going. I have tons of notebooks scattered around my office with ideas, notes, and thoughts just scribbled down. I’d love to have them all in one place and archive all those books. I’ll try this method for a couple of months and see how it goes. Thanks! I live for comments like this, thanks for sharing Nida! I love Evernote, I put on it everything that I want to access from anywhere. I love your advice on the tags. I’m going to be using it even more. Thanks for all your tips. thanks for this great conversation…it came just when I really needed to hear it. I have notes everywhere, and I have an Evernote account yet I have not used it. I am glad I read this first before using my Evernote and will remember to use two tags for sure. OK, off to make my to do list for my move back to NY next week! This will take a huge load off of my mind so that I can focus more on Danny Iny’s awesome classes! Freeing up your mind is probably one of the biggest benefits of using Evernote in this way. Great post! OMG I don’t know what I would do without Evernote! I’ve been using it for well over a year and it has literally transformed the way I work and skyrocketed my productivity… VERY important because I’m a multi-passionate entrepreneur 😉 I have almost 2,000 notes all nicely organized in about 100 notebooks collected in stacks. I use it for everything (personal and business)… from shopping lists as you mentioned to blog post drafts and writing ebooks all the way to planning product launches and writing coaching programs. 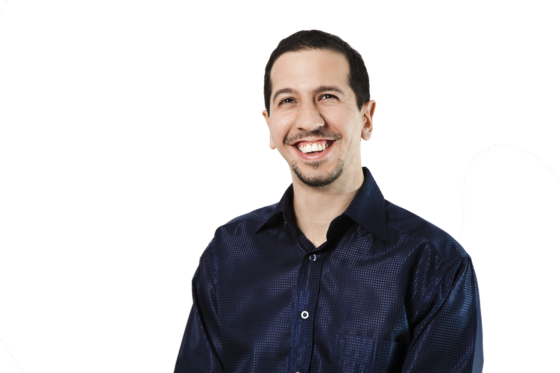 It’s an amazing tool I think everyone can benefit from, especially small business owners. I use the Livescribe pen and Evernote is one of the choices I have for storing my notes. I use Google Drive a lot. I don’t tag my documents, but I can find almost anything if I remember a word or two in the document or filename. Do you know what features in Evernote has that would make it more efficient for me to use than Google Drive? Document Indexing, Keeping Revision and typing are nearly the same. – Capture website/page/landing/sales pages from the internet using the Evernote browser plugins. – Their iPhone app allows me to search/edit/tag/take picture and then OCR for me. – Everytime I see some interesting ads/articles or scenery that good for my business, I take snapshot using Evernote. Good point, eventually Google may make Evernote small potatoes. Not sure about how Drive works on mobile (I’m sure there is an app). I like the Evernote app because it is quick and easy to find/make/update notes. Paul, have you read Getting Things Done by Dave Allen? I recommend it very much for anyone who wants to get organized. For example, ToodleDo.com runs my entire life!